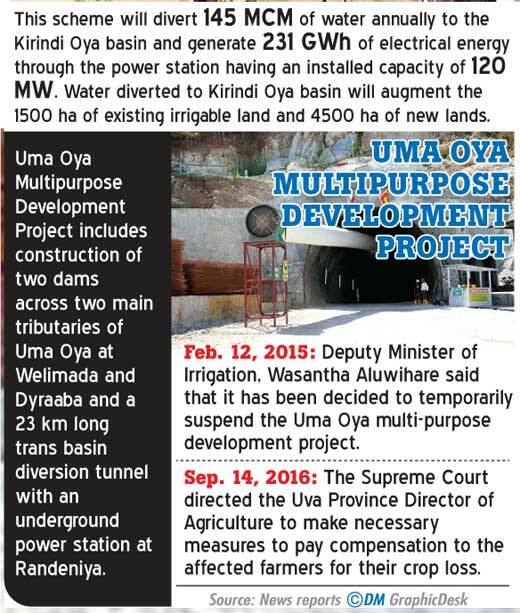 Daily Mirror - Uma Oya Development Project: Multi-purpose or multi-destructive? Uma Oya Development Project: Multi-purpose or multi-destructive? Despite the visible effects of the Uma Oya Multipurpose Development Project in the form of houses collapsing, land surfaces cracking, wells and brooks drying up, residents being displaced and losing their traditional livelihood, the budget 2017 promises to accelerate the completion of the project. However, on Sunday, W.M. 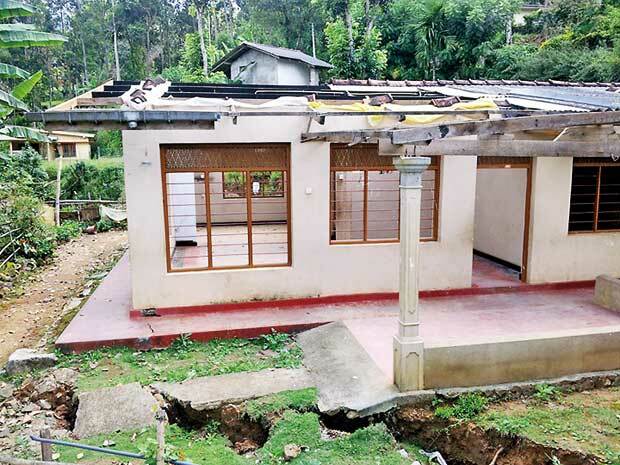 Kusumawathi, a resident of Bandarawela, told Daily Mirror that 20 houses had started collapsing in the area, 300m to the right from the tunnel. This includes well-constructed houses worth Rs. 8,500, 000 as well. 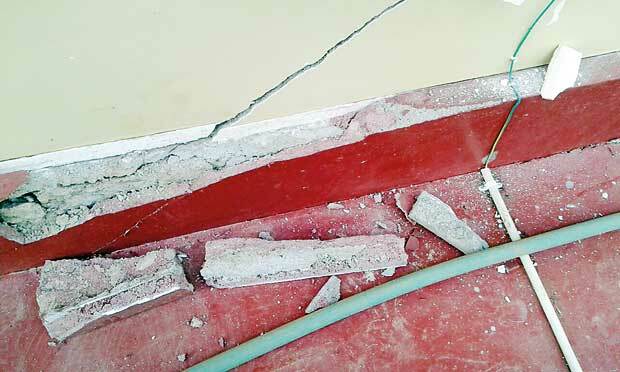 Walls have started sinking while cracks appeared on them and also on the ground. In this state of uncertainty, it was reported yesterday that the residents had to vacate their houses at night for their safety. 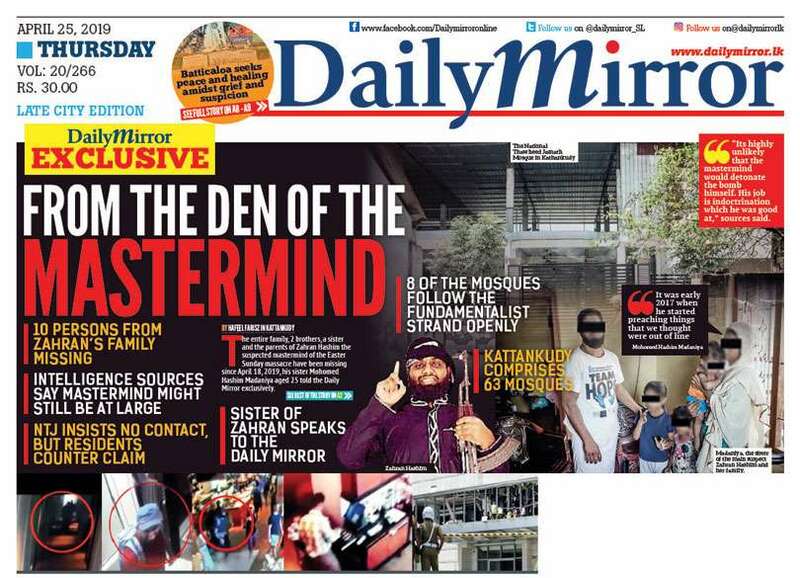 In the light of this unfortunate situation, Daily Mirror spoke to a few concerned parties on the destruction inflicted by the Uma Oya Multipurpose Development Project which is of several-fold. The Uma Oya Multipurpose Development Project (UOMDP), initially drafted by the Central Engineering Consultancy Bureau in 1991, was rejected by the Asian Development Bank (ADB) because the project violated the water rights of people and due to technical faults. However, in 2008, the Iranian Government stepped in and the two governments inked an agreement -- Iran has pledged to provide 85% of the estimated total cost (USD 529 million) as a loan. The main contractor is FARAB Energy and Water Project Company. According to the performance report (2015-2016) by the Power and Renewable Energy Ministry, the UOMDP is intended to divert 145 MCM of water to South Eastern Sri Lanka in a bid to improve irrigation. 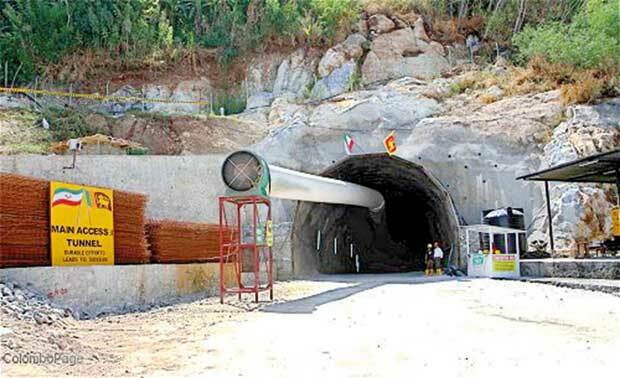 The tunnel being constructed, which is expected to divert 200 million cu.m of water annually from Uma Oya to Kirindi Oya, includes an underground power station at Randeniya. This Project also includes proposals to build reservoirs in Puhulpola and Dyraaba, and a 4-km-long tunnel connecting the two reservoirs. The approximate total length of the tunnel is 26km. The two pelton turbines installed will be of 60-MW capacity each. 290 gigawatt hours (GWh) of electricity is to be generated annually. The power plant is supposed to connect to the national grid through the Badulla Grid Sub-station through a high-voltage transmission line. According to experts, the Uma Oya project will be ‘the last major hydropower development project in Sri Lanka,’ as the two other projects proposed to be developed - Moragahakanda and Broadlands - can only generate 25MW and 35MW respectively. The project is being executed in the area from Welimada to Hambantota, and affects the Badulla, Monaragala and Hambantota Districts. “We have observed water seeping into the tunnel at several places. We keep on sealing and moving ahead. We encountered a huge leakage in the tunnel last week. Around 400 litres per second is being leaked,” said Dr. Sunil De Silva, Uma Oya Project Director. Referring to the compensation scheme followed, he said, once damage was reported, teams were dispatched to inspect and do a track survey. “Through the Divisional Secretary, we submit it to the Valuation Department. Then, the officials there visit the areas and make a valuation report. We pay compensation based on this report,” he said. Further, Mr. De Silva stated that they accepted a link between the water ingress and damages to houses because as soon as they encountered a huge ingress, they received reports about damage to property. When asked about water bodies drying up and the shortage of water, Mr. De Silva said there was a drought continuing since June last year and that it might have had some impact on these concerns. 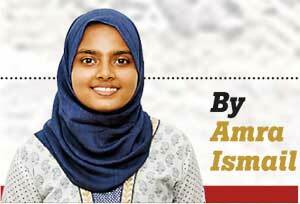 “However, we have been continuously distributing water to households. Initially, we distributed water to 700 houses, but now there are about 1,100 of them. We also face difficulties in finding water for distribution. The water board curtailed the supply to us because they had to supply to Bandarawela and other areas. We are distributing water with about 22 bowsers,” he said. Meanwhile, Mr. De Silva said there were three water supply schemes already approved by the government to provide pipeline water. He added that the Uma Oya project was targeted to end by 2018 though most activities would be completed this year. Saliya Seneviratne, who has been resettled in Mirahawatte, said there was no such infrastructure as they were promised with prior to resettling. “Due to the absence of a drainage system, disputes have arisen between neighbours. We have to go to Mathetilla Oya (2km away from Mirahawatte) to fetch water,” he said. According to Mr. Seneviratne, the least extent of land offered was 10 perches while the largest stood at 40. Hence, those who owned acres of land in Puhulpola are at a disadvantage. “Two years ago, a major leak occurred -- water seeped through the leak at 450 litres per second. After a month or so, the speed decelerated to 250 litres per second. Usually, when water seeps through fractures, it means that all the wells located above the tunnel are dried up as the water table goes down. This is a natural phenomenon. They have spent a colossal amount of money trying to seal it. Finally, they ended up with 90 litres per second,” he added. Stating that this situation was never predicted in the EIA, Mr. Fernando said if the leakage could be stopped, subsidence, which has led to landslides and houses being collapsed, could be minimised. 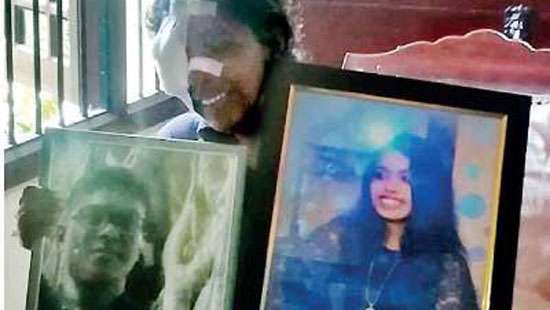 Samantha Vidyarathna, the Uva Provincial Councillor and convener of the ‘People’s Front against the Uma Oya multi-destructive Project,’ said some 3,850 houses were destroyed due to side effects of the project. “Nearly 2,000 wells and springs have dried up. Heel Oya in Bandarawela is completely dried up. The upcountry is known for its vegetation. But now, acres of farmland are barren and unsuitable for vegetation due to water scarcity. Thousands of innocent families are displaced as a result,” he said. 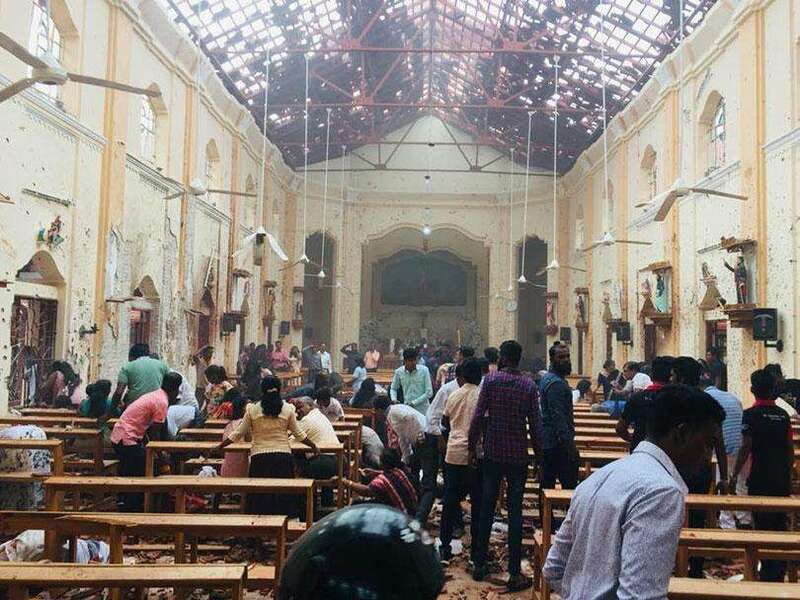 Mr. Vidyarathna lamented that temples, churches, kovils, mosques and schools had been destroyed. 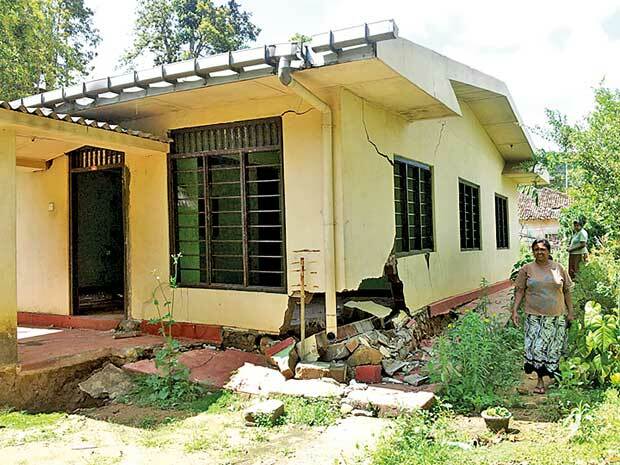 “Makulwella school in Bandarawela, for instance, is under threat and there is a warning against children gathering there,” he said, adding that a newly-constructed Chaithya had cracked and exploded. “Work in several shops at the Bandarawela junction has come to a halt,” he added. 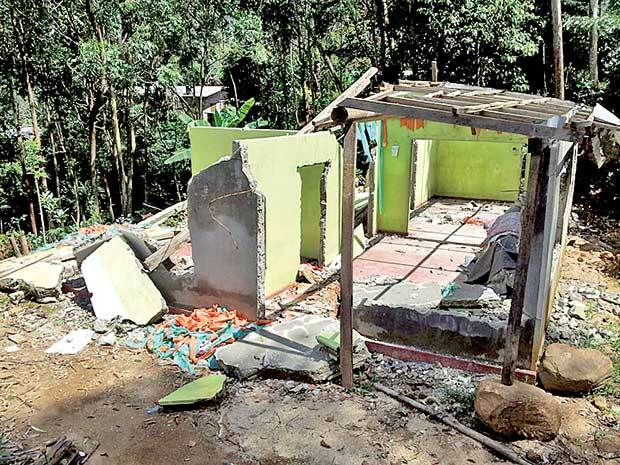 Asserting that the destruction inflicted by the project was far and wide, Mr. Vidyarathna said the Ella, Bandarawela, Hali-ela, Welimada, Uva Paranagama and Wellawaya divisional secretariat regions have been affected severely. He pointed out that the Kandakettiya, Mahiyanganaya, Dehiattakandiya, Hasalaka and Hettipola divisional secretariat zones would be affected in the future. Further, Mr. Vidyarathna stated that though there was a compensation scheme in place, the process had been tardy. Our struggle would persist despite the apparent failure in the protests and discussions with the president, in the parliament and the provincial council, he said. Diriya Kantha Govi Organisation President W.M. Kusumawathi of Bandarawela said there was not a drop of water left as water bodies had dried up as a result of the project. “Water bowsers provide us with 500 to 1,000 litres of water per household to be used during eight to ten days. But this is inadequate even for a single day,” she said. However, as the result of a protest, they have succeeded in obtaining Rs. 1,363,805 needed for pipeline water. Meanwhile, Mrs. Kusumawathi pointed out that there had been a large-scale land grabbing to accommodate the project. "Water bowsers provide us with 500 to 1,000 litres of water per household to be used during eight to ten days. But this is inadequate even for a single day,"
“Residents in Puhulpola have been resettled in Mirahawatte. People were offered illusions of a beautiful life in Mirahawatte. But there isn’t a proper road. The lands are barren. Damage has been assessed up to 300m from the tunnel to the right and left sides. But we cannot endorse this assessment because damage has been caused up to 800m. The maximum compensation offered is Rs. 100, 000. But the true value of a house is around Rs. 10,000,000. Therefore, we cannot accept this compensation either,” she said, adding that this assessment was done according to the evaluation formed in 1981. “We filed legal action due to the damages caused to houses and the water table. As a result, the court directed the Irrigation Department to pay compensation, and that had been assessed. However, some people are content and some are not. Some have not received any compensation,” said Hemantha Withanage, Executive Director, Centre for Environmental Justice. The petition filed before the Supreme Court has named Mahaweli Development and Environment Ministry Secretary Nihal Rupasinghe, Central Environmental Authority (CEA), and the Attorney General as respondents. 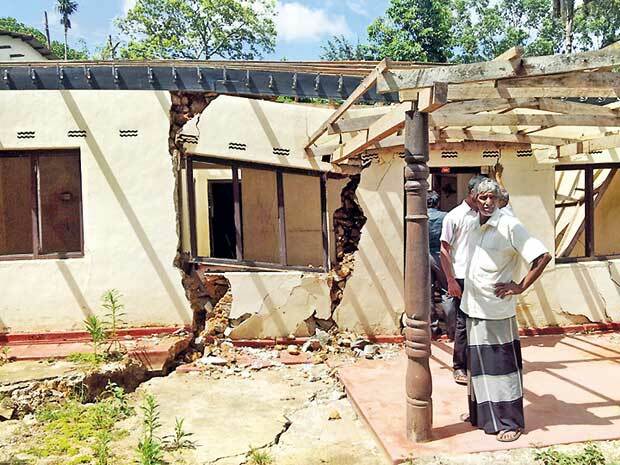 “People whose houses were fully-damaged have not received adequate compensation to rebuild their residences,” Mr. Withanage said, adding that the available land was also not suitable to reconstruct houses. so affecting around 5,000-6,000 families. Some people have lost the harvest for almost five seasons. As there is no accurate system to assess damage where crops are involved, an agreement has been reached to assess the damage through two basic crops - tomatoes and beans. However, once again, not everyone has received compensation,” he said. 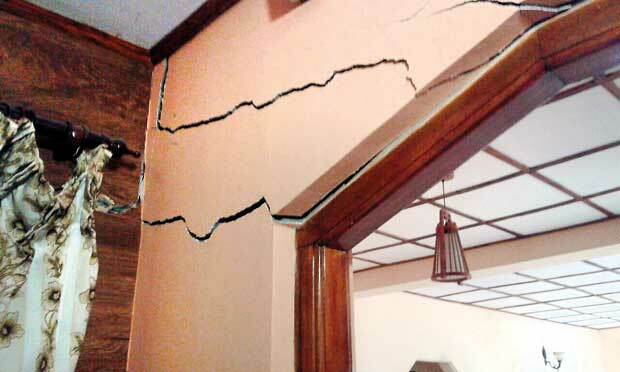 Noting that the underground tunnel was being dug close to the surface, Mr. Withanage stated that cracks appeared on surfaces and houses that collapsed as a consequence. “The project is flawed in its design. The tunnel runs close to the surface. In certain areas, the gap between the tunnel and the surface is 250m. The damage caused is more in the surrounding areas here. Paddy fields have dried up as a result of the water seepage. There is no solution proposed to rectify this situation,” he said. "People whose houses were fully-damaged have not received adequate compensation to rebuild their residences"
Meanwhile, commenting on the Environment Impact Assessment (EIA), Mr. Withanage said an accurate and complete EIA had not been conducted. “They have done the EIA for the tunnel - which is basically the diversion from Puhulpola (in Welimada) and up to the end of the tunnel. When water is directed to Alikotara in Wellawaya, it will be diverted to certain canals and thereafter to Kuda Oya. Some of the existing tanks will also get water, but they are going to build a new tank. This is supposed to destroy 5,000 acres of forest. This part has not been assessed,” he said. He added that though the original EIA pointed out that 1,500 elephants and several villages would be affected, there was no accurate EIA performed. “You need to do a complete EIA. But, unfortunately, the CEA has turned a blind eye to this process. This is against the EIA laws in the country,” he said. According to the annual performance report (2013) by the Irrigation and Water Resource Management Ministry, the Environmental Impact Assessment for the Headwork was approved by the CEA and the Final Feasibility Study Report was submitted by the contractor in February 2012. “The Environment Impact Assessment was very flawed. It has outdated and erroneous data. Therefore all decisions based on that faulty document tend to be faulty,” said environmentalist Jagath Gunawardane. Gunathilake, a resident affected by the Uma Oya Project, admitted that environmentalists forewarned them of the destruction that could take place. “Residents were given a wrong impression when the project was initiated. Residents and farmers were fooled. They told us that the Uma Oya project would ensure employment for our children in the generations to come. They never made us aware of the negatives of the project. This is the untold truth,” he charged, speaking at a press briefing organised by the People’s Alliance for Right to Land (PARL). "They never made us aware of the negatives of the project"